There are plenty of steps you can take to make sure you’re safe behind the wheel: Check your tires to see that they’re properly inflated. Fasten your safety belt. Look over your shoulder before pulling into traffic. There are some safety issues, however, that are out of your control. You’ve probably heard about the barrage of vehicles that have been recalled because of airbags that explode and send metal shards shooting throughout the passenger cabin, gas tanks that catch fire if vehicles are struck from behind and “sticky” pedals that cause cars to accelerate without warning. In 2014, the auto industry recalled nearly 64 million vehicles for safety-related issues, which is a record, says the National Highway Traffic Safety Administration (NHTSA). In fact, the number of vehicles recalled last year exceeded the total for the previous three years combined. 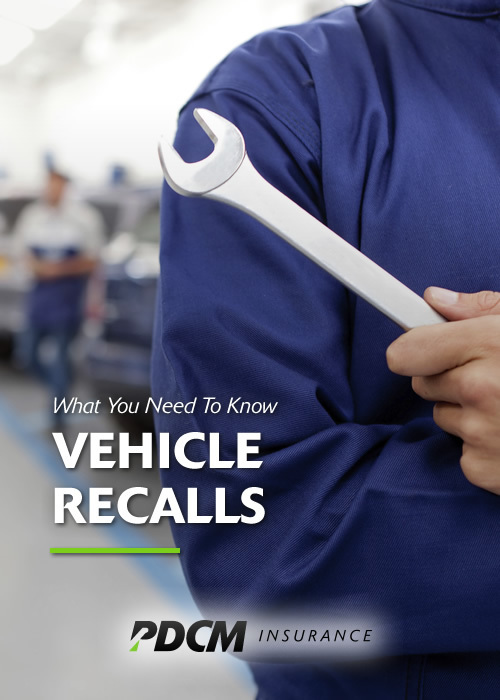 Manufacturers must alert the NHTSA and affected drivers, dealers and distributors if a recall has been issued. You should receive a letter from the manufacturer that details the recall and outlines instructions for having it repaired. When you receive the letter, contact your local dealer to have the part fixed immediately. If you neglect to repair a recalled part and get into an accident as a result, the car’s safety rating will be affected, which may increase your insurance premium. If you drive a pre-owned vehicle, the manufacturer may not have a record of your ownership, which means you may not receive a recall letter. In that case, visit safercar.gov, powered by the NHTSA, to search for recalls or sign up for email alerts. This free online tool uses vehicle identification numbers (VINs) to determine whether a specific car has been recalled and if it’s been repaired. If a former owner neglected previous recalls, you can also find this out on the site. If you plan on purchasing a new vehicle, you may want to think twice about buying a model with a history of recalls. Another recall may be coming down the pike, so ask yourself if you want to deal with the issues related to that model and a potential recall. When a vehicle is recalled, the vehicle manufacturer is legally responsible for paying the repair bill. You may want to provide your car insurer with paperwork documenting that the necessary repairs have been made. If you get into an accident because of a faulty part that has been recalled, your insurance company can settle the cost with the manufacturer. Whether your car is new or used, if a recall is issued, it is in your best interest to have the defect taken care of right away. Your safety, and the safety of your family and other drivers, is at stake. ← Are You Traveling for the Holidays? Let’s Plan Ahead.